This is a fabulously quirky item. 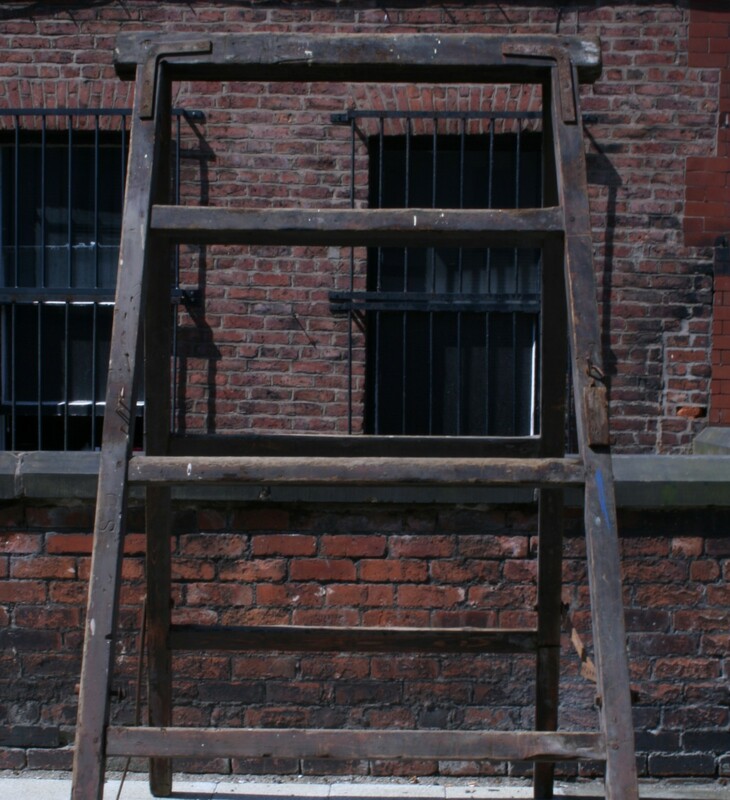 Made of solid wood, it has its original metal brackets (one is missing a metal section) and characterful rusty nails! It would make striking display furniture in a retail environment or a piece of garden sculpture.